MD Pellets are a slow-release probiotic pellet designed to directly target the muck layer at the bottom of lakes and ponds. MD Pellets sink to the bottom and penetrate the muck layer to deliver essential bio-stimulants and select bacterial cultures that speed the breakdown of organic debris and muck. 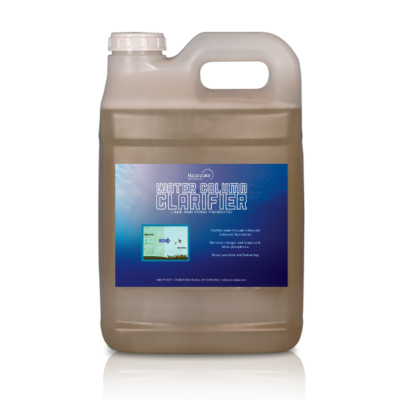 This pelletized probiotic reduces the available internal nutrient reservoir on the bottom of lakes and ponds to improve water quality and clarity. The MD Pellets can be applied over the entire water body or to specific areas such as shorelines, beaches, or coves. They also excel at degrading dead floating vegetation or tussocks when used in conjunction with PondZilla Pro. For the best results, broadcast the MD Pellets evenly over the targeted area. Lakes and ponds are catch basins for the many sources of nutrient pollution. 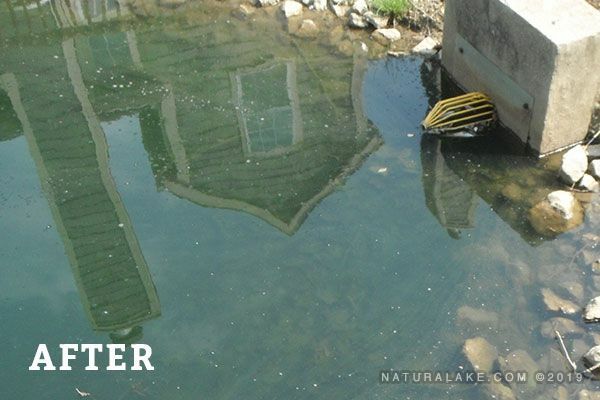 Excess nitrogen and phosphorus from animal or fish waste, stormwater runoff, grass clippings or leaves, and fertilizers from agriculture are a just a few examples of the nutrient pollution that eventually settles at the bottom of lakes and ponds. Lake and pond bottoms that are overloaded with these nutrients can experience oxygen depletions, fish kills, or harmful algae blooms that negatively impact the water bodies’ recreation and economic uses. 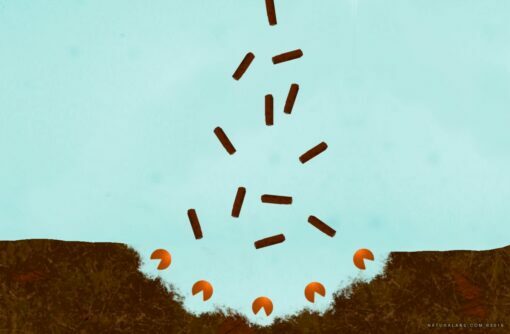 MD Pellets were formulated through years of research on how to enhance the natural digestion of the organic debris and muck that stores nitrogen and phosphorus. This scientifically tested product works in harmony with natural microbial communities to break down the complex compounds into smaller units and release carbon dioxide, water and energy in the process. Reducing muck buildup in an aquatic environment can lead to increased capacity, improvements in dissolved oxygen levels, reduced nitrogen and phosphorus compounds, and increased water quality. 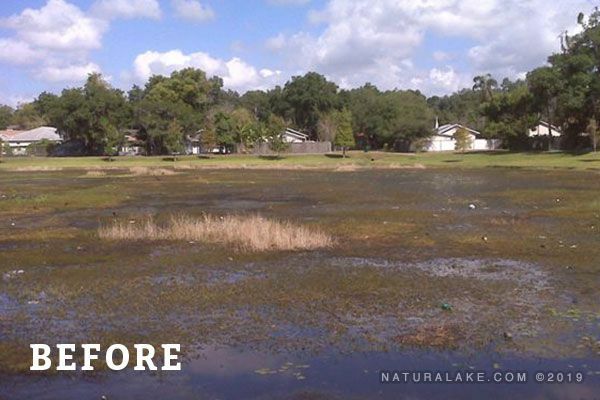 MD Pellets restore the balance in the aquatic ecosystems on the bottom of lakes and ponds. Real science. Real results. Once per month or as needed. **If used in conjunction with algaecide or herbicide, apply MD Pellets after chemical treatment for best results. 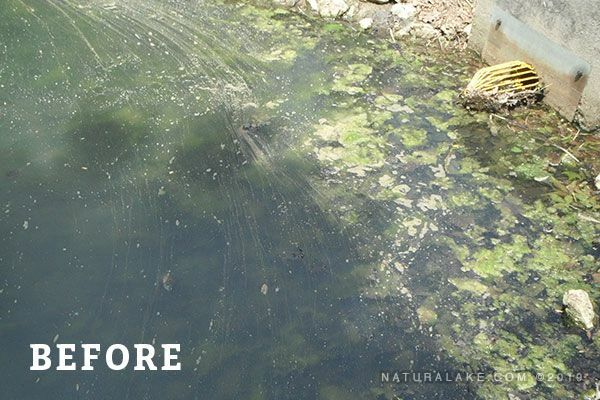 SUMMARY: A Trout fishery and ranch was experiencing excessive algae and plant growth. This was harming fish populations and causing issues for irrigation. 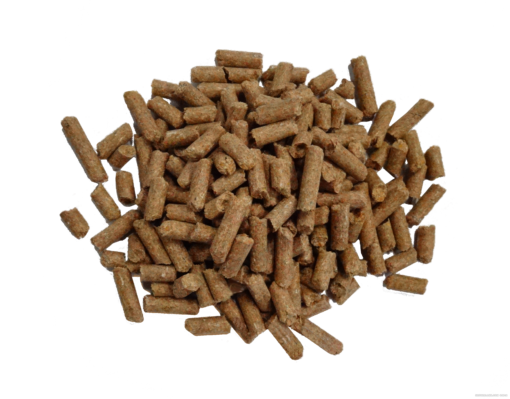 SOLUTION: Apply MD Pellets to reduce muck and nutrient levels. Integrate PondZilla Pro into herbicide applications to improve efficiency and effectiveness of treatments. RESULTS: Nutrient and muck levels were limited. Algae and plants were controlled. SUMMARY: Assessing the effectiveness of reducing organic debris in ponds with MD Pellets. SOLUTION: Apply MD Pellets in regular intervals throughout the treatment season. RESULTS: MD Pellets were shown to effectively reduce organic debris. 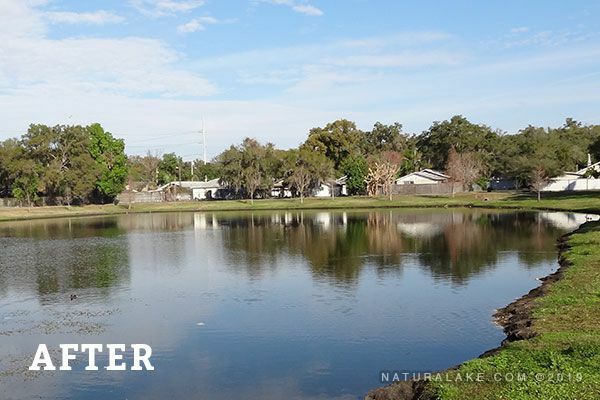 SUMMARY: A lake at the center of a residential community was experiencing harmful algal blooms that limited use of the lake. The cyanobacteria, Lyngbya, bloomed frequently throughout the summer season and was not responding to traditional chemical treatments. SOLUTION: Incorporate AquaSticker into chemical treatments to kill the cyanobacteria and apply MD Pellets to reduce the internal nutrient load. RESULTS: Cyanobacteria blooms were reduced in both frequency and intensity and the lake became safe for residence to use. SUMMARY: A man-made swimming lagoon was experiencing frequent filamentous algae blooms and elevated levels of E. Coli making swimming and recreation unsafe. 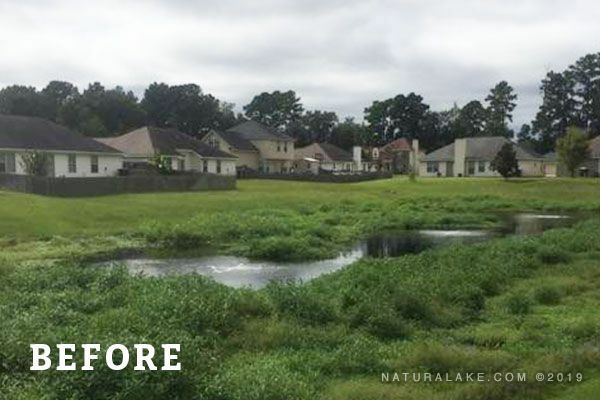 SOLUTION: Integrate PondZilla Pro and MD Pellets into a management plan to break ensure full decomposition of the filamentous algae and improve water quality and clarity. RESULTS: Filamentous algae was controlled, and E. Coli concentrations were reduced to below harmful levels. 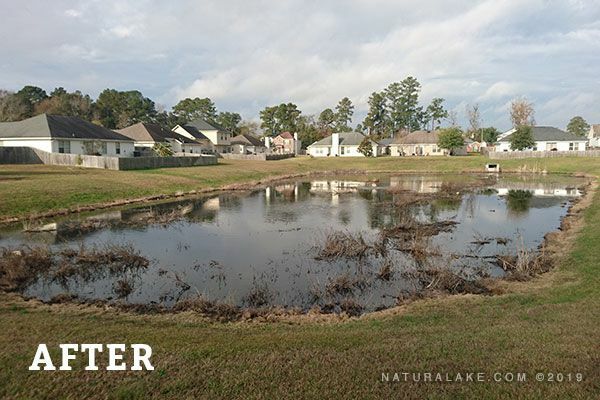 SUMMARY: Multiple ponds in a residential community were exhibiting signs of eutrophication and rapid muck buildup. SOLUTION: Apply MD Pellets to reduce internal nutrients and muck levels. RESULTS: Muck levels reduced and MD Pellets provided an economical way to improve water quality. SUMMARY: This Wisconsin lake is home to many species of game fish and is frequented by a variety of recreational visitors in summer months. Its tributaries and inlets are susceptible to sediment accumulation and excessive nutrients began leading to anoxic conditions and blue green algae blooms. SOLUTION: Added MD Pellets monthly, with muck depth measurements taken at six locations before each application. RESULTS: Muck levels were reduced at 5 of the 6 measurement points. SUMMARY: A 6.5 acre lake was experiencing frequent algal blooms (Hydrodictyon, Pithophora, and Spirogyra) and occasional fish kills. Aeration, algaecides, and aluminum sulfate treatments alone were unable to gain control. Muck buildup on the bottom of the lake was identified as the source of nutrients feeding the algal blooms. SOLUTION: Added MD Pellets monthly to reduce much buildup and reduce the internal nutrient reservoir. RESULTS: Muck levels were reduced at the targeted locations and the desired control was achieved. SUMMARY: This Ohio pond was completely covered with filamentous algae and had a thick layer of muck built up on the bottom. SOLUTION: Applied a combination of muck digester MD pellets, dye, and copper sulfate to clear the undesirable growth and impact major results. RESULTS: After introducing MD pellets, there were no more algae blooms and the sediment on the bottom was drastically reduced. The more MD pellets that we’re used, the healthier the pond became, and overall lead to less and less chemicals being applied each month.